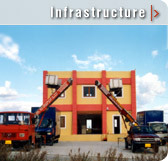 The transportation company "Alfa-Dialektakis" was founded in 1970 in Athens. The main occupation of the company is to be involved with movements. The main purpose of the company is to offer special services, so that distributions take place in time and with the great safety. During these years many things have been obtained, so today the company is able to offer qualified services for the customers. The 30 years occupation with movements, bring experience, specialization and technological knowledge to the peoples of the company. It' s of great importance to mention that new trucks, especially formed for movements are part of the company.These characteristics constitute an unexceptionable combination for reliable, and efficient distribution, in any kind of equipment, throughout Greece and Europe.